This article will discuss the etherum dApps list. Ethereum is providing the facility for new projects to use the open source platform and brings ideas to reality. Decentralized applications (dApps) are evolving around the internet. The blockchain is opening a new era of technology. New dApps are entering the market based on blockchain technology and ethereum platform. Blockchain technology is evolving like the internet makes space in the everyday life of people around the world. We will be discussing the 10 ethereum dapps available in the market. You can find more ethereum dapps on coinmarketcap. IDEX is a Cryptocurrency Exchange. It is a distributed exchange made of smart contracts. IDEX is a decentralized exchange for trading Ethereum (ERC-20) tokens. The platform combines the speed of centralization with the security and efficiency of blockchain settlement. Etheremon is a decentralized application based on Ethereum network. It creates a world of Monsters (or Mons) where you can capture, train, transform, and trade them with others. The aim is to Combine Blockchain and Virtual Reality technology. This dApp offers users an unprecedented gaming experience. This will be the first gaming environment where you actually own the assets which no one can effect or steal from you and see them operating similar to the real world. CryptoKitties is another dApp that is based on blockchain technology. It is a virtual game developed by Animoca subsidiary Axiom Zen that allows players to purchase, collect, and breed and sell various kinds of virtual cats. The aim of the ETH Town is to Trade crypto-companies in a crypto-tower, grow heroes and play mini-games. The ETH Town is another amazing dApps in the ethereum dapps list. You can be a realtor buying out floors for certain crypto-companies in a crypto-business tower on this platform. At the start of this game you are a small property investor, and work your way up to the very top of the ranking ladder. Out-wit! Out-play! Out-strategise! Beyond a specific point in the game, and once certain conditions are met, you will be able to sit back and easily benefit from other participants’ actions. While discussing the ethereum dapps list, we can’t forget to mention Gods Unchained. It is a trading card game based on ethereum blockchain. The ownership of this card is guaranteed by a smart contract. The company is going to provide a new standard of gaming which will be immutable, transparent, and infinitely extensible. Gods unchained is also a fast, turn-based and multiplayer-driven gaming. Competitive weekly tournaments with massive prizes. The game is free to play, with a core non-tradable set of cards to unlock. You can also access to the weekly free rotation. You cannot drop any cards by playing the game. ForkDelta is another addition to the ethereum dapps list. It is a decentralized Ethereum Token Exchange with the most ERC20 listings of any exchange. Currently, the ForkDelta acts as an open source, updated interface for EtherDelta’s smart contract with an active and public development team. In the ethereum dapps list, BitEye is a decentralized autonomous exchange. The project is featuring fast, safe, transparent and anonymous. It adopts the method of off-chain matching and on-chain trading which assure the high throughput of the platform. It progresses the transaction mining to a decentralized smart contract based one, which is a great disrupt. BitEye is dedicated to building a community of the members, by the members, for the members. Chinese Fomo game imitation. SuperCard is also an online game based on the decentralized platform. This platform also has importance in the ethereum dapps list. In ethereum dapps list, Ethen is the only decentralized exchange with bulk and partial order execution at best price. Ethen is a blockchain base decentralized platform to trade Ethereum and ERC20 tokens directly with other users. The aims to enable financial inclusion for digital wallets. The aim of the ethereum dApp is to enable financial inclusion and interoperability through the public, decentralized OMG network. The project is based on a decentralized platform and the is to provide a scaling solution for finance on Ethereum. The project will enable transparent, peer-to-peer transactions in real-time. This ethereum network enables self-sovereign financial services across geographies, asset classes, and applications. There are many other dApps that are the part of ethereum dApps list. You can find other over the internet. Share this article with the community around you to let them know about the amazing ethereum dApps list. 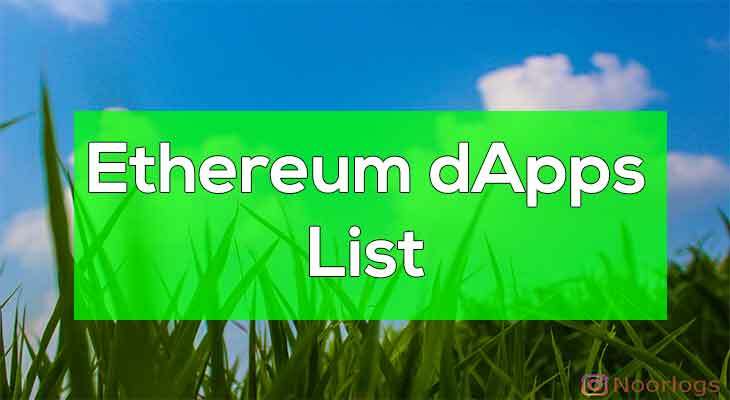 You can also read Ethereum Dapps List You Need to Know in 2018 if you want to know further about dapps.